White Pear-Shaped Pearl Head Decorative Pins. 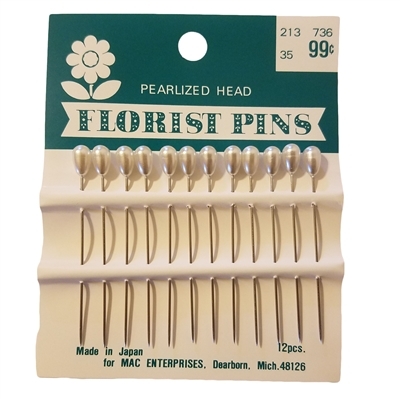 For floral, corsages, bridal, sewing, pinning into Styrofoam, and other craft uses. 2 inch length. 12 pieces per package.